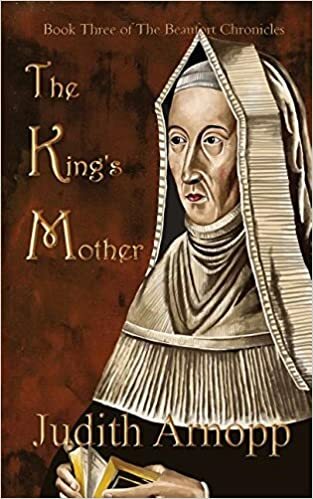 This third and final installment of the Beaufort Chronicle provides a strong finish to the interesting and well-researched story of Margaret Beaufort, mother to King Henry VII of England and likely the chief reason there was a Tudor dynasty at all. This volume picks up the story of her life once son Henry becomes king. A powerful figure behind the throne, Margaret continues to be someone Henry relies on for strategy and political advice. Good thing too because the Tudors have their hands full in the early days of Henry’s reign. It was Margaret who negotiated Henry’s marriage to Elizabeth of York, thereby uniting the warring Lancaster and York factions of the Plantagenet dynasty, that had formed the basis for the Wars of the Roses. But despite this shrewd move, Henry continues to face challenges to his legitimacy as a monarch for years to come. And Margaret remains by his side throughout, supporting his claim with a resolute iron will and a deep understanding of the needs of the English people. Arnopp’s portrait of Margaret is of a woman who has come into her own. She has finally become the most powerful woman in the land. And she performs her role well, demonstrating both considerable intelligence and piety. Her influence on the lives of her son, daughter-in-law, and grandchildren is unmatched. She also provided money for a significant expansion at Cambridge University. One criticism I have of the book is that it has a somewhat abrupt ending. There is so much detail about her role while her son’s health declined, but much less about the influence that continued once he died. Still, this entire series is strongly recommended for Tudor fans since it provides such a rich portrait of an important and interesting woman in British royal history. You might want to read my reviews of the first book in this series. Or the second book.